A Lot To Chew; Japanese Kurata Accepts American Megabot Challenge For World’s First Melee Robot Duel! If you’re an American, there are several things that you’ve been watching while growing up. And perhaps you still do. In fact, the World Wrestling Foundation recently decided to pay homage to an era bygone by choosing none other than ‘Stone Cold’ Steve Austin as the cover star for WWE 2K16. Wrestling, NASCAR, MMA all reflect our passion as a society for endless violence and pushing mechanical limits to their edge, as long as we’re not in the driving seat. For Andrew Stroup and Gui Cavalcanti, the dream was simple. Quite their jobs and build giant robots. They met at Discovery’s engineering reality TV show, The Big Brain theory and soon felt their interests met ways in more ways than one. Stroup, a mechanical and aerospace engineer at the Department of Defense at the time, and Cavalcanti a mechanical engineer and founder of Artisan’s Asylum stayed in touch after the show and laid the foundation for MegaBots. Soon they joined hands with Oehrlin, a control theory engineers and all quit their jobs to work on making fighting robots a real thing. However what they found out soon was that investors really don’t look at giant robots as a return producing investments. But, with a team of 10 developers and funding from AutoDeskwork on the MegaBot began, and now things seem to be nearing completion. The MegaBot II is nearing completion and Andrew, Gui and Matt are as ecstatic as ever. How do we know? Well, they just issued a challenge to none other than the Japanese. The Far East is known for a few things back here. Apart from Sushi, the PlayStation and Samurais, Japan’s also known for one more thing: Robots. And the MegaBot trio decided to go big this time, with a direct challenge to them a week back. You can take a look at the video here. Enter The . . . Samurai? While the MegaBot is still in prototype stages, the Kurata, as all things Japanese, is already up for sale at Amazon. Got a cool $ 1,353,500 lying around? If yes, then you can become the proud owner of one too. Got an iPhone lying around? You can control the Kuratas with it too. Named after its founder and creator, the 8,000 pound, 12 ft. high metal behemoth truly reflects Kogoro’s passion for robots. 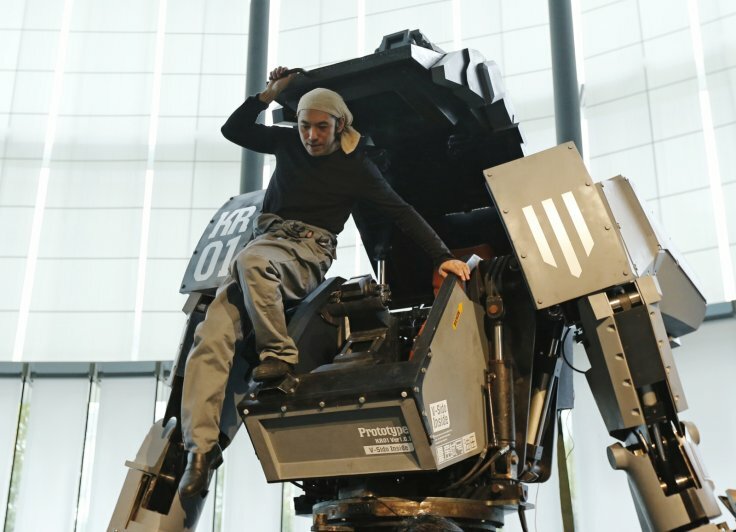 As compared to the MegaBot II, which comes with mega size, giant paintball guns, the Kuratas outguns the challenger by miles (Pun intended) It comes with a 6,000 BB/minute Gattling gun, a Kuratas Handgun, which can fire a variety of ammunition, from bottle rockets to fireworks and an Iohas launcher, capable of firing bottle rockets. Things wont be complete without a giant robotic claw however, and the Kuratas comes with that as well. The MegaBot’s got one thing on it side. Pure mass. 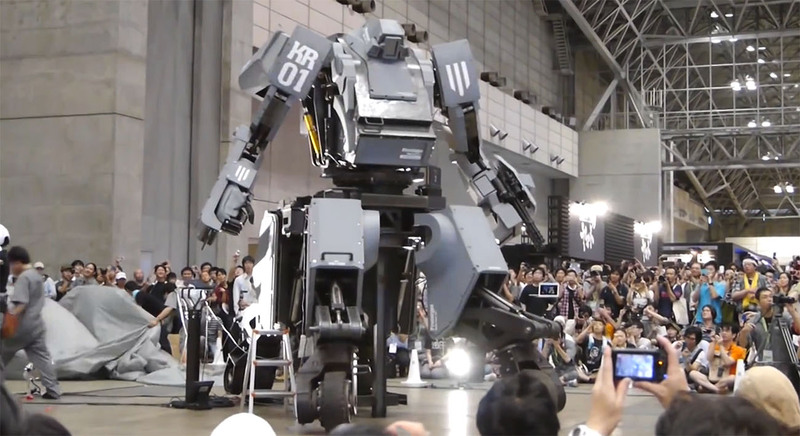 The American contender weighs in nearly twice as much as the Kuratas, at 15,000. But its creators agree that there’s a lot of work to be done right now as well. Its more of a public friendly robot right now, with the capability to even shoot free t shirts towards spectators. Aside from its t-shirt shooting capabilities however, the MegaBot comes with a giant paintball cannon, capable of firing at speeds of up to 120 Miles. You can watch it completely decimate a car with its paintballs over here. Needless to say, the Megabot still packs a punch. And with Kurata’s insistence to restrict combat to melee only, the match would be very interesting indeed. The Japanese really do take their honor at heart at seems. Whatever the case may be, the fight, which is expected to take place in June next year, with its venue undecided, will be a huge steps towards establishing a robot fighting league. And once the ball gets rolling, advancements will occur, and who knows, we might see an entirely new sport with fighters equalling or surpassing human speeds. Both sides are clearly passionate about their work, and as Kuratas put it back in 2012 “When I was a kid, I thought there were going to be giant robots in the future. But no matter how long I waited, people were only able to make small robots, like Asimo. Eventually, I thought ‘I can’t wait anymore,’ and set out to make one myself.” Whoever looses, the Megabot fighting league will see a huge win. But then again, can the Megabots Trio chew all that they have bitten off? The post A Lot To Chew; Japanese Kurata Accepts American Megabot Challenge For World’s First Melee Robot Duel! by Ramish Zafar appeared first on WCCFtech.